Recent or soon-to-be graduates say that finding work-life balance is one of their top priorities–but experience suggests that balance as we think of it may not exist. 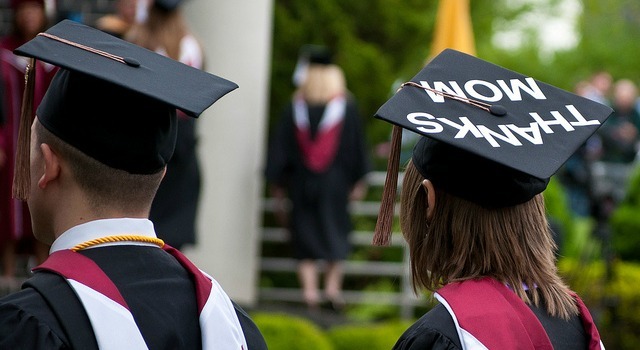 Here are 7 ways new graduates, or anyone, can shift their mindset and find ways to work differently and more flexibly. Unfortunately, my mind wasn’t in work-mode at that moment and I fumbled my response. It wasn’t until I drove home that I realized what I’d wished I’d told him (doesn’t it always happen that way?). 1. There is no “balance.” Update your language and mindset to reflect what you really want and to get manager support. When I talk to recent graduates, I don’t hear that they expect a 50-50 split or “balance” between their work and personal life every day. They realize there will be times when they have to work a lot and other times when they might not. What they want is the ability to work flexibly and differently depending upon what’s going on at work and in their life at a particular time. It’s time for a language and mindset update. The language that’s worked for me over the past decade and is being adopted by more employers is work-life “fit,” or the unique fit between your work and personal realities. It will change day-to-day and during major life and career transitions, like going back to school, having a baby, or caring for aging family member. What you want to have is the flexibility to manage your work-life fit in a way that works for you and your job. For some, the goal will be the complete, seamless integration of work into your life. However, many will prefer to deliberately separate the two as much as possible. Neither goal is right or wrong. It’s a matter of the work-life fit that you choose. Another reason to stop using balance to describe your goal is that managers tend to interpret what you are saying as “work less.” They don’t hear “work differently and more flexibly.” In an economic environment where organizations are forced to do more with fewer resources, anything that infers working “less” won’t be positively embraced. So how do you get support to work differently and more flexibly? 3. Focus on how the work will get done and the business will benefit by working flexibly and differently. Don’t emphasize “why” you want to do it and how you will benefit. As I advised in a recent blog post, managers support flexible work when it’s clear how the work will get done. This is especially true for recent graduate who may require more supervision. Will your manager/supervisor need to be available to answer your questions if you work on a project at night from home? Is that going to be convenient for them? A recent Student Employment Gap survey of employers conducted by Millennial Branding found that employers looked for teamwork as one of the top skills in their new hires. Show that you are focused on the needs of the business and your team when you propose working more flexibly and differently. 4. Use the power of the “pilot.” If you want to work more flexibly, but your manager resists, offer to test it out for three months. This gives your manager comfort that they aren’t committing to something they think might not work out (even though most likely it will). It’s called using the power of the pilot. 5. Try not to completely disconnect from the workforce for a long period of time. Chances are you will experience a major life transition at some point in your career like having a baby, relocating for a partner’s new job, or caring for an aging adult. Life is long, unpredictable, and expensive. It can be risky to step away from the workforce. Before you quit completely, try to propose a flexible work plan that will allow you to remain employed while taking care of your new personal realities (click here for a step-by-step, how-to for creating a plan). If you do decide to leave the workforce, be strategic about it. Check out iRelaunch.com for great advice about how to plan a career break. 6. For men: Play an active part in the work+life “fit” and flexibility discussion in your organization. It is not a “women’s issue.” I find in my work that men need and want the flexibility to manage their work and life as much as women do; however, men need to let that be known. 7. For women: Don’t limit your career decisions today because you are planning for life responsibilities and events that haven’t happened yet and may not happen for many, many years. While it is admirable to think about whether or not the path you’ve chosen right after college will be doable when you are a parent years down the road, it can also be unnecessarily limiting. Have the confidence to know that you will deal with that moment when it happens. The best thing you can do for your career as a new graduate is to go for it. Find work you love, or at least like, and do it really well. Then someday if you want or need more flexibility because your partner relocates, you’ve had a baby, or your father gets sick, most employers will bend over backwards to support you. I have a friend who, for years, was a renowned surgeon at a major New York hospital. When her personal circumstances changed, she could pick from jobs at regional hospitals closer to her home because she was so good. Are they as prestigious as the institution she came from? No, but she has the work life fit she needs today and she’s still able to practice the medicine she loves. Work-life “balance” may not exist, but soon-to-be or recent graduates can take concrete steps to find the flexibility to manage their work-life fit, day-to-day and at major life transitions. And in the process, you will bring work and life into the 21st century for all of us. Those are my top seven tips. Another great source of advice is Lindsey Pollak’s new book Getting from College to Career. Cali Williams Yost is the CEO and Founder of the Flex+Strategy Group / Work+Life Fit, Inc., flexible work and life strategy advisors to clients including BDO USA, Pearson, Inc., EMC, the U.S. Navy, and Novo Nordisk. Her second work+life fit book,” Tweak It: Small Changes, Big Impact” will be published by Center Street/Hachette in January, 2013. Connect with Cali at her Work+Life Fit blog and on Twitter @caliyost.